Following up on the May / June training in Cotonou, Benin, the SRI-WAAPP Regional Coordination Unit led a 4-day training August 3-6 in Dakar, Senegal, to reinforce skills learned in Cotonou, and to broaden the scope to include SRI Champions and SRI-WAAPP National Facilitators. Participants came from Senegal, Mali, Burkina Faso, Benin, Nigeria, Togo, Côte d’Ivoire, Guinea, the Gambia, Sierra Leone and Liberia. The training provided a hands-on introduction to ESRI’s ArcGIS platform, their new Survey 123 mobile data collection system, and creating outputs for communicating project activities using their interactive Story Maps feature. To see the training report in English, click here. The WAAPP Senegal Coordinator and SRI-WAAPP Regional Coordinator speak with Senegalese national television during the training. 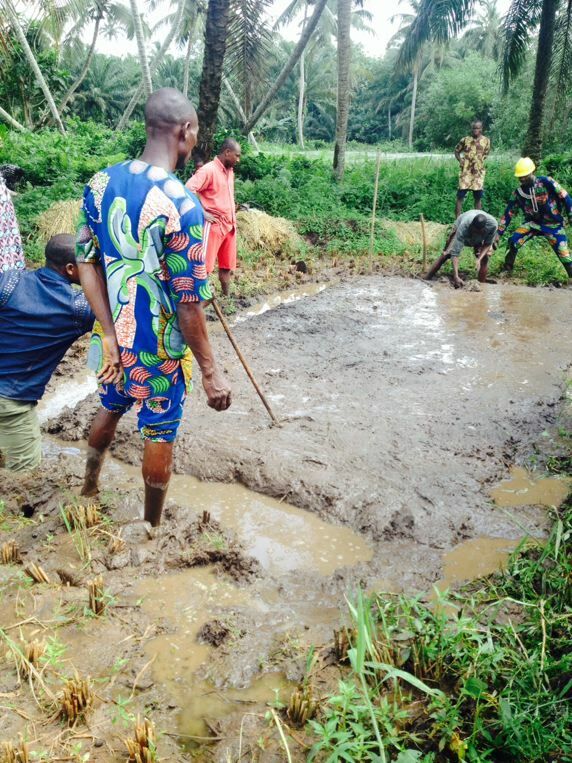 This entry was posted in Uncategorized on 10/09/2015 by sriwestafrica. 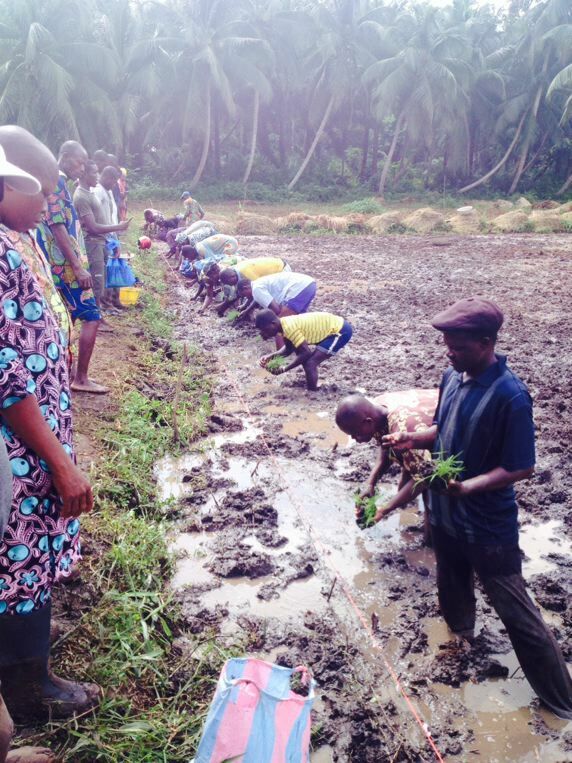 Mechanization is an important bottleneck to address for rice farmers in West Africa, whether using SRI or conventional methods. 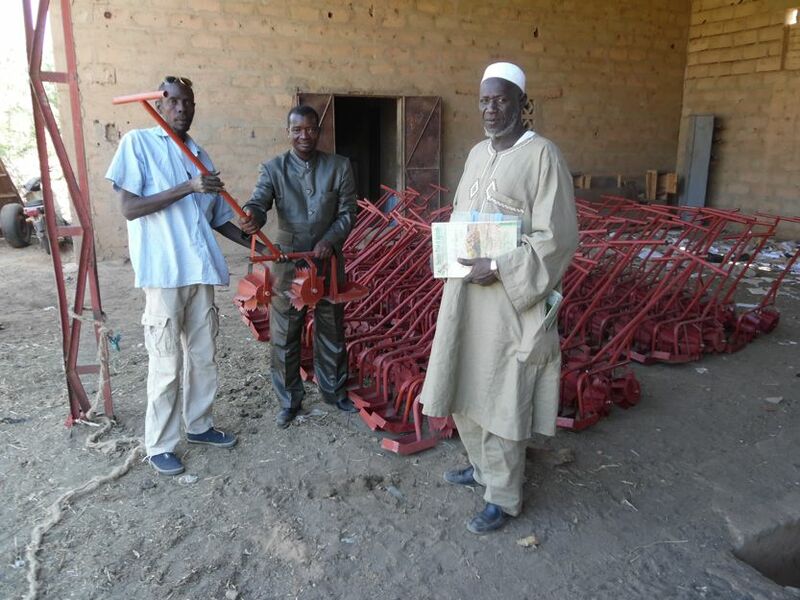 As part of the regional WAAPP SRI program, local artisans in Gao, Mali, were hired to produce 100 cono weeders, which will greatly ease, speed up and enhance the adoption of SRI throughout the Gao area. 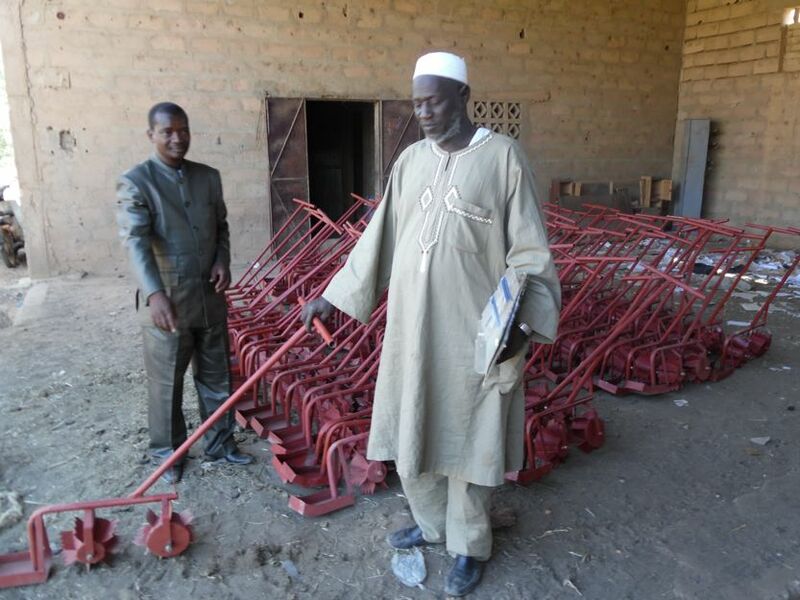 This entry was posted in Mali, Mechanization and tagged Hamidou Guindou on 06/01/2015 by sriwestafrica. 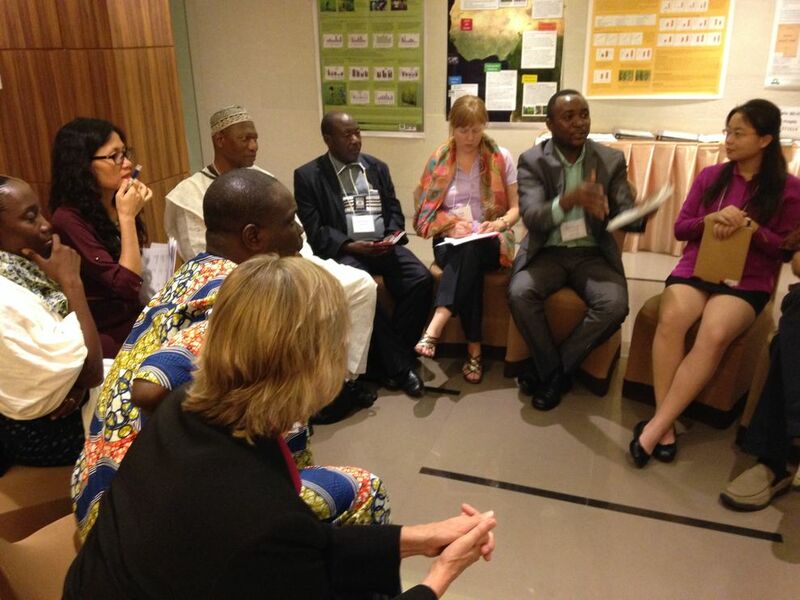 A delegation from the SRI West Africa project of the WAAPP traveled to Asia at the end of October to partake in a series of workshops, field visits, and the 4th International Rice Congress (IRC 2014) – the largest worldwide gathering devoted solely to rice production. 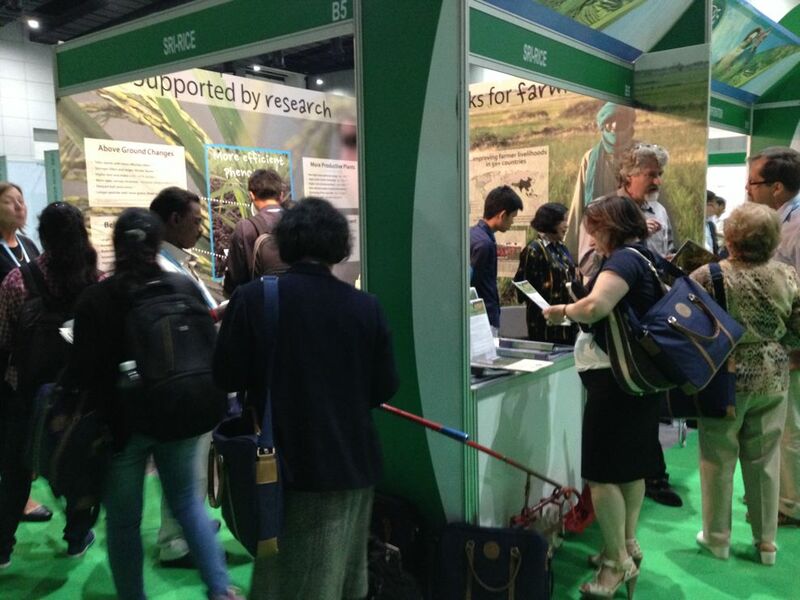 Hosted every four years by the International Rice Research Institute (IRRI), the focus of IRC 2014 was largely on scientific research, with talks and poster presentations from hundreds of delegates representing all parts of the rice producing world. 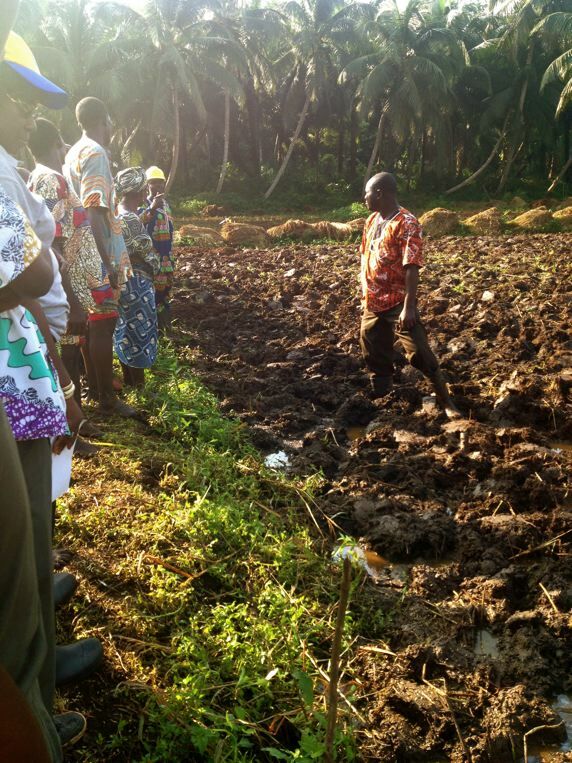 While research and industry were most prominent throughout the congress, farmers organizations were present as well, including representatives of West Africa’s ROPPA. This iteration of the IRC was held in Bangkok, Thailand. 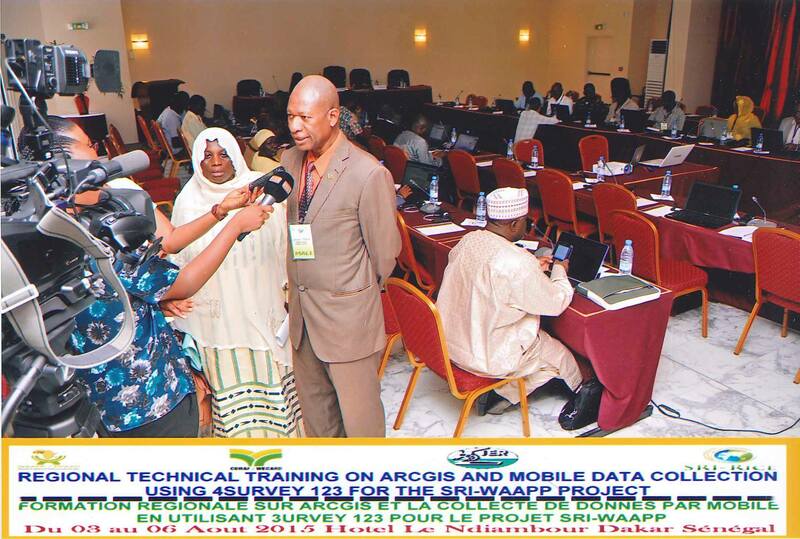 The Regional Coordination Unit presented a poster on the WAAPP’s SRI project, and participants from the project included Gaoussou Traoré (Regional Coordinator, CNS-Riz), Minamba Bagayoko (CNZ-Riz), Erika Styger (SRI-Rice) and Devon Jenkins (SRI-Rice), . Two workshops were held in conjunction with the IRC: a pre-congress workshop on international collaboration to advance SRI (co-sponsored by Oxfam International and Cornell University’s SRI-Rice Center), and a post-congress workshop covering SRI mechanization around the world (co-sponsored by the Asia Institute of Technology and SRI-Rice). 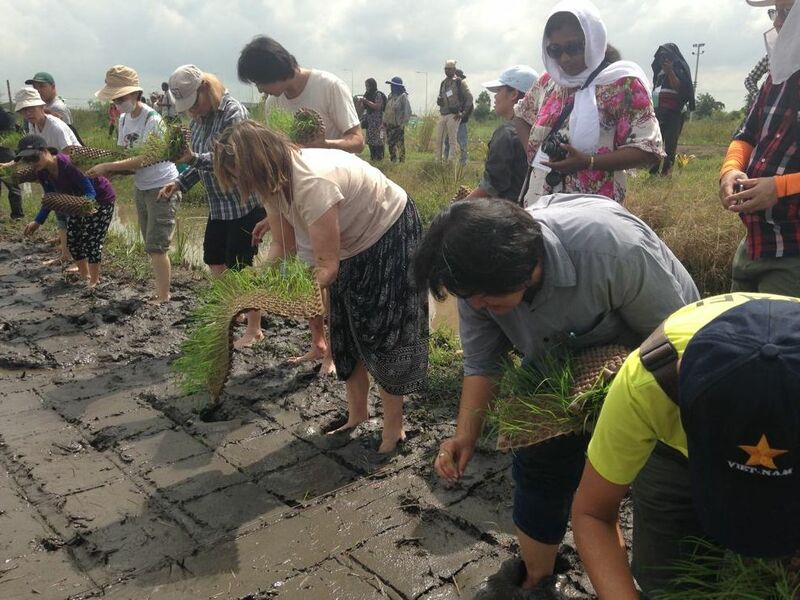 The mechanization workshop included a field visit to the Thai Weekend Farmers’ Network to see their innovative mechanization and transplanting approaches to SRI, including ‘dart’ transplanting. Participating in various parts of the trip were Dr. Gaoussou Traoré, Dr. Erika Styger, Dr. Minamba Bagayoko, Ousmane Djiré, and Devon Jenkins. After the workshops some members of the West Africa SRI contingent visited SRI project sites in India while another visited project sites in Thailand. Participants in a breakout discussion during the pre-congress workshop. 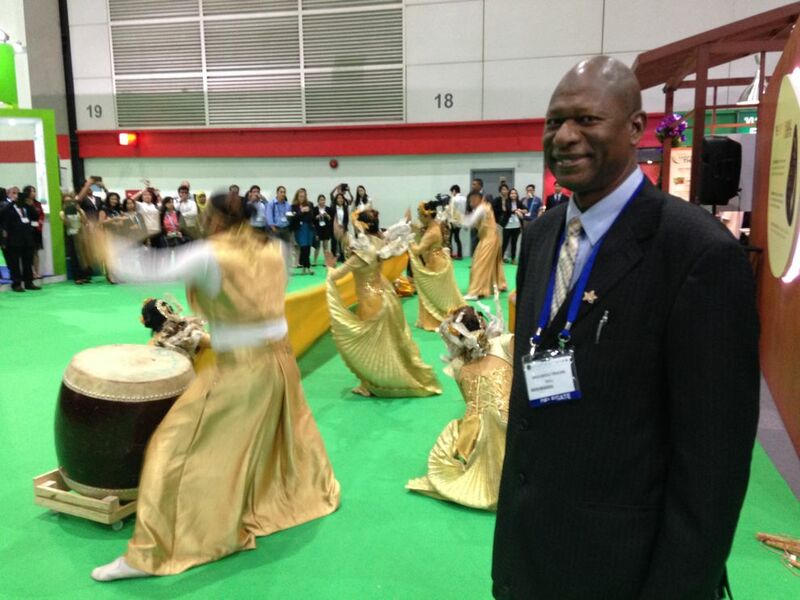 Gaoussou Traoré, the project’s Regional Coordinator, enjoying a performance of traditional Thai dancers at the International Rice Congress. Congress attendees coming by the SRI booth at IRC 2014. 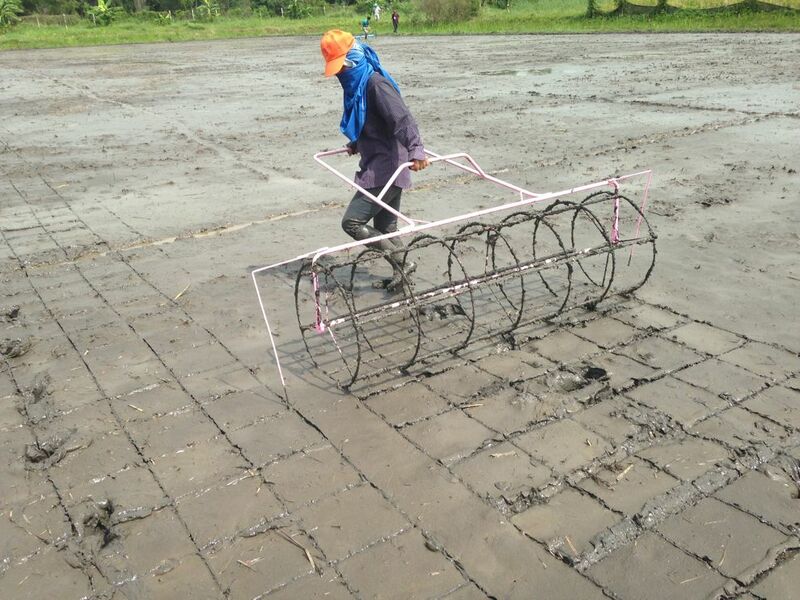 A roller demonstration during a field visit to the Thai Weekend Farmer’s Network on the second day of the mechanization workshop. 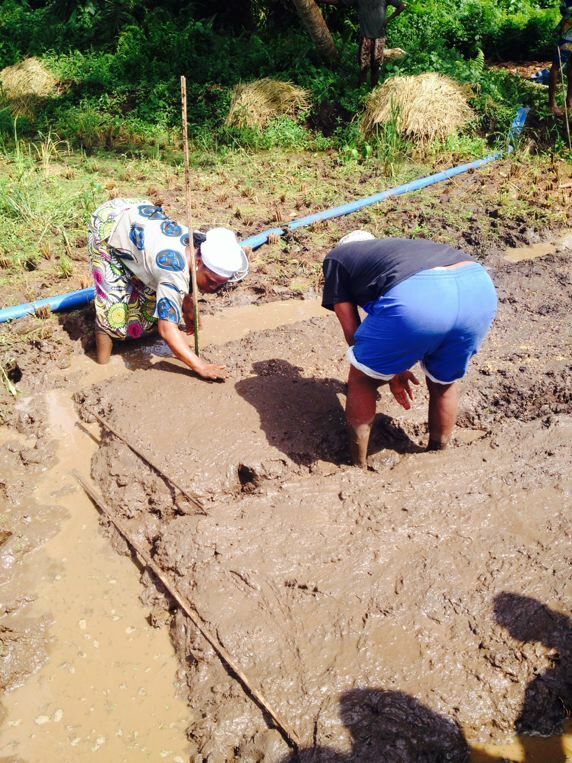 Mechanization workshop participants trying out a labor saving innovation called ‘dart’ transplanting. 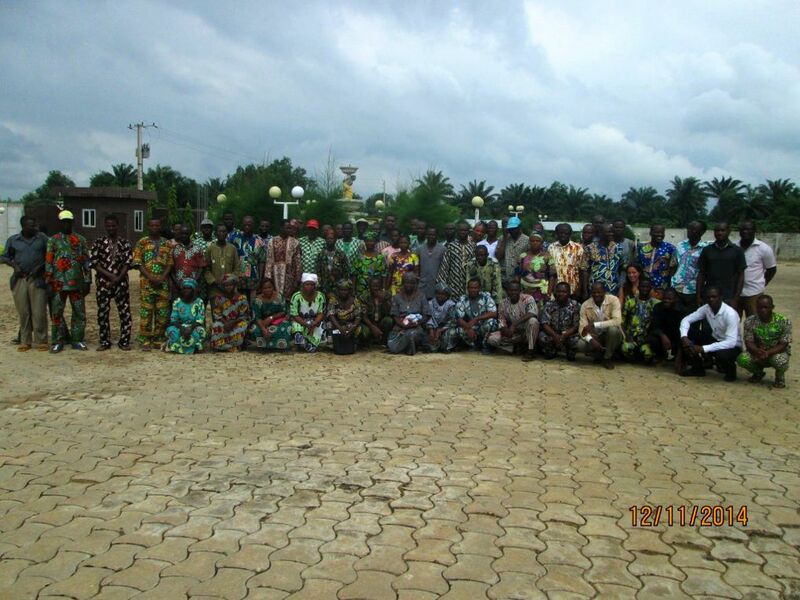 SRI farmers in India met during a visit by Dr. Erika Styger and Dr. Gaoussou Traoré. 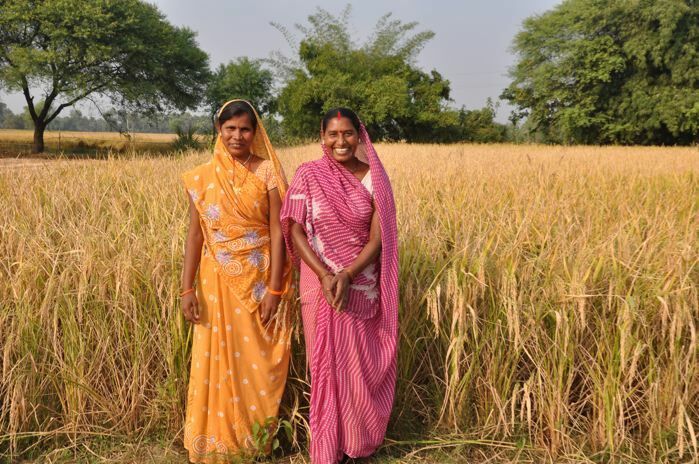 This entry was posted in Mechanization and tagged Asia/Africa Exchange, Gaoussou Traoré, India, International Rice Congress, Thailand on 14/11/2014 by sriwestafrica.